He proposed motoring by easy stages to Edinburgh and, after some golf, crossing to Dublin. 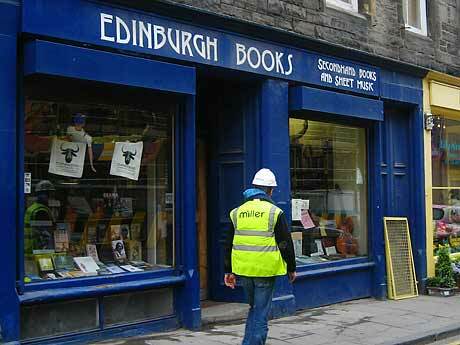 It will be rather nice to pop into the old book shops of Edinburgh, he told Max Pemberton, whom he had chosen to be his holiday companion again. Arriving there, he expressed to Pemberton a preference for reading ‘sensational novels’. So the great newspaperman liked to read ‘sensational novels’ on his days off, and what might a sensational novel be in 1911? 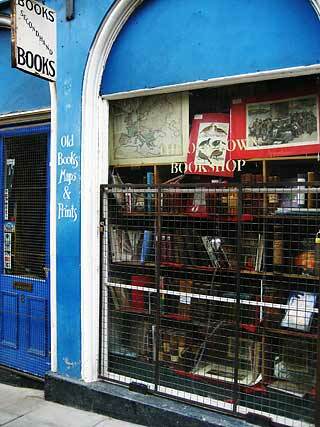 Running downhill to Edinburgh’s Grassmarket, West Port bookshops gather in numbers, with one across the way (across the Grassmarket, up the West Bow to Victoria Street) and the quirky Owl & Lion art gallery/workshop included for good company. 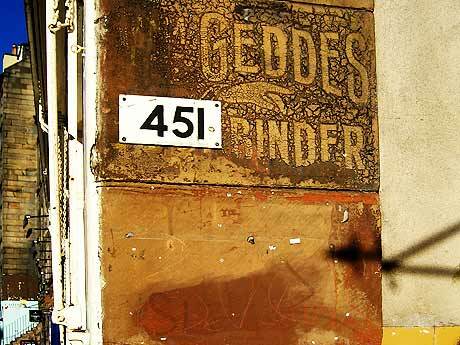 Bookbinding is a traditional discipline at Owl & Lion mind. In true co-operative spirit they produce a handsome little map and official guide. 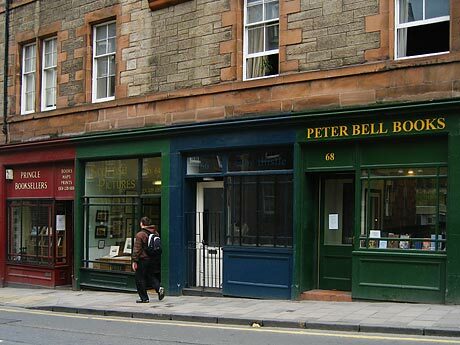 This entry was posted in Books, Bookshops & Libraries and tagged Armchair Books, Book-shops Edinburgh, Edinburgh Books, Main Point Books, Peter Bell Books, Pringle Booksellers, The Old Town Bookshop, West Post Book Shops. Bookmark the permalink. 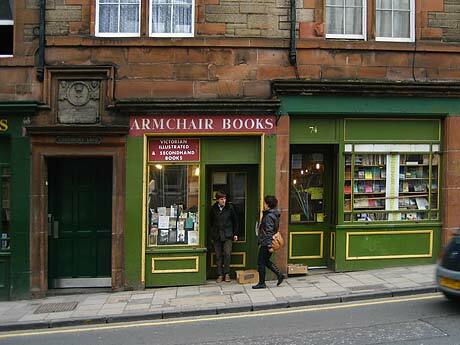 I loved reading your take on the bookshops in Edinburgh. 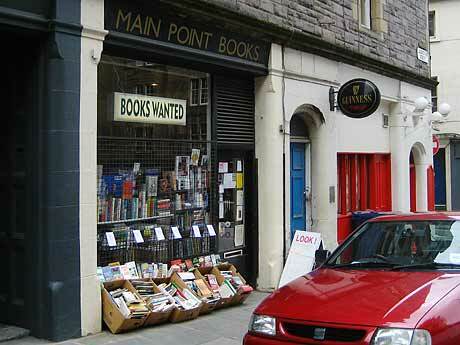 I too enjoyed perusing the book stores whilst there on a recent visit. The Owl and Lion is a great store and recently have begun to show artists work in the window (a lovely wide sill for display). Good take out coffee up and around the corner to sup on your way down the street. 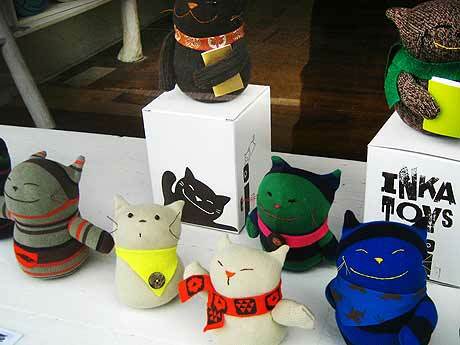 Thanks Jo, have posted a pic of the Owl & Lion shop window when I was there.